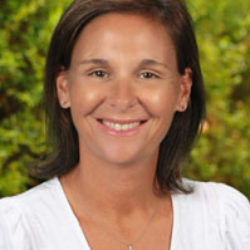 Mrs. Charitie McArthur started at CDS in 2003. She was raised in Temple City, CA and graduated with a Bachelors degree in Physical Education from Concordia University. Her favorite part of working at RHCDS is being lucky enough to teach every student and being able to see them grow over the years. When she is not at RHCDS Mrs. McArthur loves playing soccer, outside activites, being crafty and playing with her 2 children, Maddon and Finleigh.